Dr. Lisa Nivison grew up on her family’s sheep and cattle property in rural New South Wales, Australia. There, she developed a love of animals and interest in science. She completed a Bachelor of Rural Science, then followed her heart to pursue veterinary medicine. Lisa completed her degree at the University of Sydney in 2008. After graduation, she worked in mixed practice for three years. There she established a great foundation in medicine, surgery, and emergency procedures, as referral was uncommon due to the location. She enjoyed working with a variety of animals such as cattle, sheep, alpacas, and horses as well as Australian wildlife such as echidnas, wombats, kangaroos, and wallabies in the clinic, outside in nature, and on farms. After three years in the country, she moved to Sydney, to an area with many paralysis ticks in the warmer months. They paralyze all muscles including respiratory muscles. Lisa developed some competence with ventilators in this practice and found it extremely rewarding and joyous to see a dog or cat breathe, eat, and walk again after being on a ventilator. She is delighted that there are no such ticks here! In 2016, Lisa decided to combine a love of travel with a desire to gain more experience in emergency practice by moving to California. She enjoys looking after patients and working with clients to achieve the best care for their pet. When not working she enjoys reading, watching live music, going to the beach, and traveling. 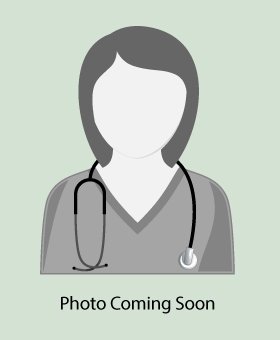 Click on image to download Dr. Nivison’s Bio.